Share the post "25BR? Robinett Offers New .257-Caliber, 88gr Match Bullet"
Many of you may not have seen how Jerry Stiller’s innovative Drop-Port functions with a 6BR or 6PPC case. Well we can tell you, Stiller Precision has one slick little system. Just retract the bolt and your case exits, nose-first, through a small port, coming to rest right under the gun. It works by gravity alone so you don’t need a conventional ejector, with the case alignment issues an ejector can create. (An ejector pushes on one side of the rim–some folks think this can push the case out of “perfect” alignment.) The drop-port is available both in the aluminum Viper and the Stainless Diamondback action. Case size is limited to PPC, 6BR, and 6BR Improved case length. Our Belgian friend David Bergen was kind enough to create a video showing his Viper Drop-Port in action. NOTE: This large, 7-megabyte file is best for users with high-speed connections. Left-Click the image to stream video. Right-Click and “save as” to download the file. 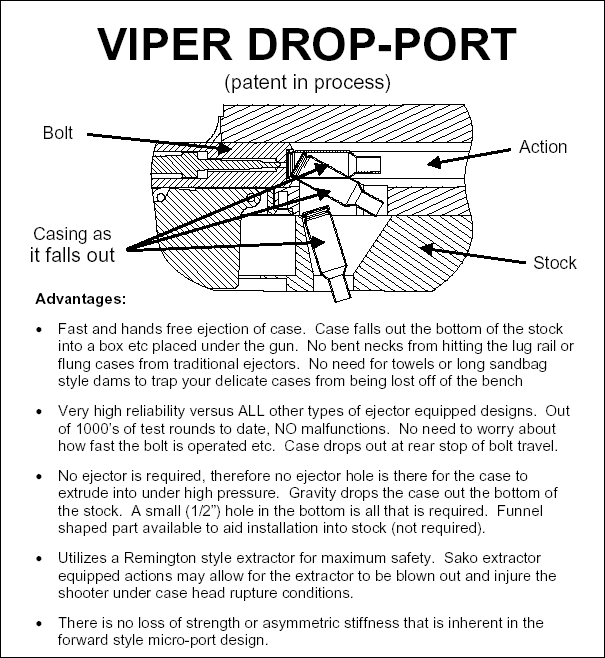 Share the post "Viper Drop-Port — Let Gravity Do the Work"
CONCLUSION: Stainless steel barrels and components won’t rust nearly as fast as blued steel, but you still have to take precautions — particularly removing sweat and corrosive salts from the barrel. Also, don’t let moisture build up inside or outside of the barrel. We recommend wiping your barrels and actions with Eezox, or Corrosion-X after each use. These are both extremely effective rust-fighters that go on thin, without leaving a greasy residue. (Eezox leaves a clear finish, while Corrosion-X has a slightly waxy finish.) Also store your guns in Bore-Store synthetic bags when the guns go in the safe. Bore-Stores wick away moisture, and the synthetic fleece inner surface is treated with rust-fighting chemicals. To discuss the issue of rust formation on stainless steel, visit this FORUM Thread. Share the post "Stainless Steel — Can It Rust? You Bet." Share the post "Californian Wins Savage F-Class Auction"
Share the post "American Airlines Lifts Ban on Firearms Transport (except to UK)"
We’re pleased to report that the MidwayUSA shooting mat is on sale again (in case you missed out the first time around). 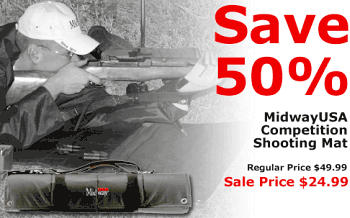 This is a great deal on a good, basic shooting mat. And this time you’ve got nearly five weeks to buy–the $24.99 price is good through October 31, 2007. 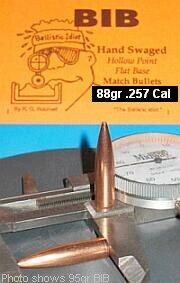 Share the post "Shooting Mat on Sale Again–$24.99"
Berger has started production of a new 22-caliber 82 grain BT bullet. It is a tangent ogive, non-VLD design, optimized to shoot well either in the lands or away from the lands. The new 82-grainer should prove popular with Service Rifle, Cross-Course, and SpaceGun shooters looking for a high-BC 22-cal projectile that works at various OALs and is easy to tune. At Camp Perry, Shawn McKenna used this bullet to capture 2nd place in the NRA Civilian Service Rifle National Championship (3rd place overall Service Rifle). He reports shooting more Xs at 600 yards than ever before. Nick Till placed First Overall in the NRA Service Rifle National Championship using a Berger 80gr BT made on the same jacket and die as the 82 grainer. Both Shawn and Nick used Berger’s 22 cal 73gr BT at 200 and 300 yards. Shawn tells us “The 82 works ideally as a single-feed bullet for slow fire at long ranges. The nose length is .554″. At mag length on an AR, that would put the bearing surface into the neck .050″. Share the post "Berger Introduces New 82gr non-VLD 22-Caliber Match Bullet"
The 2007 USPSA Multi-gun National Championship will be held October 4-7 at the U.S. Shooting Academy (USSA) in Tulsa, Oklahoma. The Nationals will include 12 stages (3 pistol, 3 rifle, 3 shotgun, 3 multigun). Match info, including stage descriptions, is found on the USSA website. You can also call (918) 592-5553 or email kellyraglin [at] usshootingacademy.com. CLICK HERE for a video showing the impressive 93-acre USSA facility just outside Tulsa, one of the best action shooting venues in the world. With stages for Action Pistol, Shotgun, and Carbine, multi-gun competition is an exciting and challenging sport. All of the three main stages, even the shotgun, involve “run and gun” scenarios. (Some multi-gun matches offer a fourth discipline–long-range precision rifle). This sport requires quick reflexes and good physical fitness levels. Guns must be ultra-reliable as well as very accurate. You’re on the clock so every second counts. To learn more about USPSA Multi-Gun competition, download the USPSA 3-Gun Supplement, a 14-page illustrated guide covering all aspects of the sport. 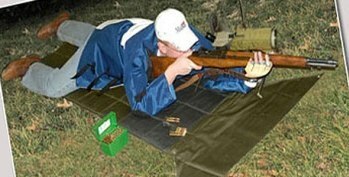 You’ll also find Shooting Tips, Match Calendars, and photos from past Nationals at www.3gunrules.com. Share the post "National Multi-Gun Championship in Tulsa, Oct. 4-7"
Orders are being handled by Randy Cain of R&D Precision. You need to contact Randy and send in a deposit before October 15. Randy says there are over 25 orders already. Randy writes: “Here is the deal. Send me an email with your request to stillergroupbuy [@] roadrunner.com. I will keep a running total of orders. You need to follow up your email with a note with your address, screen name, and phone number and what you want. Be specific as to short action, long action .223 .308 boltface and the options you want. NOTE, a $200 deposit is required. Send your deposit to the address on my website. I will take checks or Money Orders only. Once I receive your deposit I will email you an invoice. Make funds payable to ‘Randy Cain’. You will not get on the list until I have your deposit.” Randy also requests that, if you have not done so already, you register as a member of the SnipersHide Forum. This will assist in communication. 0.130 extended magazine cut-out, 6-48 screws, matte finish stainless steel, armoloy bolt, sako extractor, curved handle with screw on knob, “Predator” on side, right or left handed, .185″ lug pinned, ground and hard. Standard magazine cut-out, 8-40 screws, black oxide finish stainless steel, armoloy bolt, sako extractor, curved handle with screw on tactical knob, TAC30 or TAC300 name on side, right or left handed, .185 lug pinned, ground and hard. 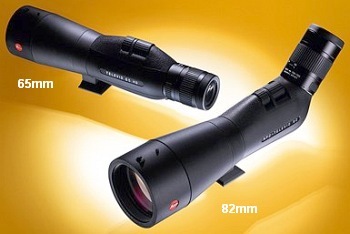 Share the post "Group Buy on Stiller Predator & Tactical Actions — $625 or less"
We heard from our friends at SWFA.com that Leica’s current 62mm and 77mm Televid spotting scopes are being discontinued. Now we know why. Bigger and better models will be available in early 2008. These are completely re-designed, with larger objectives, more advanced glass, and special new AquaDura™ coatings that shed raindrops. A new, very compact 65mm Televid will replace the current 62mm model. Leica’s top-of-the-line unit has jumped up to 82mm from 77mm. Even with their bigger objectives, Leica claims both new scopes will be the most compact premium spotting scopes in their respective classes. The new Televid 65 and 82 also now sport full rubber armor. The big news is the glass. Both the new 65mm and the 82mm will come with flouride glass, with optional (extra cost) APO (apochromatic) lenses for reduced chromatic distortion. Leica claims the optical performance of the new spotting scopes is significantly better than the preceding models. The use of specialty fluoride glass yields improved contrast without altering natural color tones. The Leica Televid 82 and Televid 65 spotting scopes are both available with straight or angled eyepiece housing, with either HD or APO glass. The new APO versions feature redesigned apochromatic lenses for high contrast viewing free of color aberrations. The High Definition (HD) versions use specialized glass in a newly designed lens arrangement for improved clarity and contrast. The new Televid spotting scopes come complete with quality Leica zoom eye-pieces. 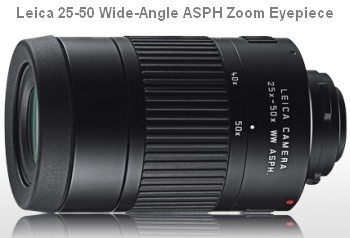 Televid HD versions come with a Leica VARIO 20-60x eyepiece, while the Leica APO-Televid versions sport the new high performance wide-angle Leica VARIO 25-50x WW ASPH eyepiece. Leica claims this is the first premium zoom eyepiece to offer a field of view comparable to wide-angle fixed-power eyepieces. As noted above, the new Televid 65 and Televid 82 both feature AquaDura™ lens coatings. This is a Leica proprietary coating technology used on all exterior glass surfaces. This AquaDura coating repels moisture, causing raindrops to cleanly drip off from the lens surface. Additionally, fingerprints and dirt can be easily removed. Share the post "New Leica 65mm and 82mm Televid Spotting Scopes"
This was the official Italian military cartridge from 1891 to the end of WWII. The 6.5 Carcano was designed for use in the bolt-action Mannlicher-Carcano rifle. It is designated as the 6.5×52 in Europe. A fair number of these rifles were “liberated” during the war and many more were sold in the US at very low prices after 1945. Hence, it has achieved fairly wide use. Diagrams and content © 2007 Norma Precision AB. Share the post "Cartridge Diagrams on Revamped NORMA website"
If you’ve visited our home page, you’ve seen that we’ve been running an auction for one of Savage’s new 6.5-284 Precision Target Rifles. This is the same ultra-accurate caliber used by recent F-Class Champions and the U.S. F-Class Team. Savage Arms has generously donated the rifle. All proceeds go to cover operating expenses of this site. 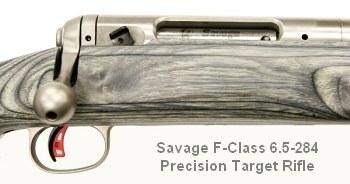 MSRP on the rifle is $1211.00. So far, our highest bids top $1050.00. The bidding will close tonight at midnight, Pacific Time. CLICK HERE for rifle photos and complete auction rules. 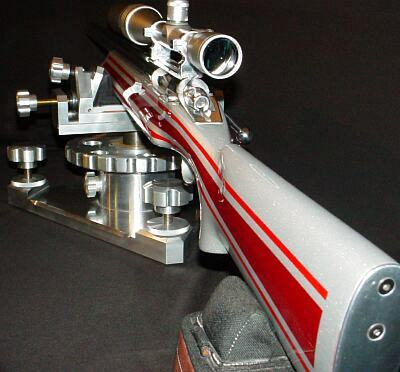 Share the post "Savage 6.5-284 F-Class Rifle Auction Closes Tonight"
Richard Franklin (Richard’s Custom Rifles) has pioneered the use of lightweight (110-130 grain) 30-caliber bullets in a new generation of hyper-velocity varmint rifles. Richard’s new trademark cartridge is the “300 Varminter”. Using 30″ barrels with the 300 WSM case, Richard’s “maxi” varminter delivers incredible levels of energy at both short and long range. 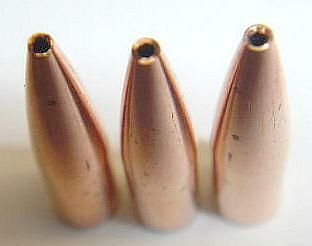 Traveling at 4000+ FPS, the lightweight, plastic-tipped bullets literally explode when they hit. This can lift a groundhog up to 10 feet in the air–and Richard has VIDEO to prove it. Richard tells us that demand is high for the 300 Varminter: “I have built 25 of these rifles just this year, and orders are increasing. I’m building them for coyote hunters out west, and well as Eastern groundhog shooters.” Richard adds: “This cartridge is fast AND accurate. My 300 Varminter is now my favorite rifle, and it may be the most accurate long-range varmint rifle I own. Accuracy is really outstanding–I’ve shot groups under 1.5″ at 500 yards with this. And the effect of these bullets at 500+ yards on a ‘Hog has to be seen to be believed.” Richard uses VV 550 and Norma 300 WSM brass: “Norma is the only way to go–the Win and Rem brass is nowhere near as good”. Above is Richard’s personal “300 Varminter” in its distinctive South American Bloodwood stock. That is the true color of the wood–not a stain. Note the deeply recessed crown. Richard says this helps keep noise and blast away from the shooter. Richard’s “Big Red” features a BAT Machine 1.600″ diameter ‘B’ action, Bat 20 MOA rail, Burris Signature Zee rings, Jewel 1.5 oz. trigger, and a Bartlein 1.250″ X 30″, 1:15″ twist barrel. Total weight is 24 lbs. which includes about 4 lbs of lead added to the buttstock. Richard tells us “The Bartleins have been outstanding, with consistent quality and accuracy I can count on.” Richard uses a Nightforce NSX 8-32 X scope with MLR reticle. 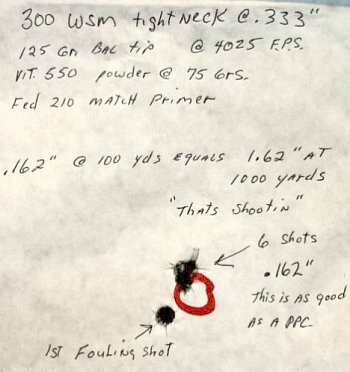 How good can one of Richard’s 300 WSM Varminters shoot? Below is a 100-yard target. The fouling shot went a little low, but then the next six (6) shots went into 0.162″. That is amazing for factory varmint bullets. CLICK HERE to view a video of what the 300 Varminter will do (warning–very LOUD and GRAPHIC–turn down your audio before playback). Share the post "Franklin's 4000 FPS 30-Cal Varminter Is a Hit with Hunters"
U.S. air carrier American Airlines has announced a change to its official policies. Starting today, September 24, 2007, American Airlines will forbid the carrying of any firearms as checked baggage on flights to or from Europe or Asia. 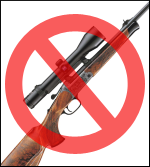 The airline’s notice states: “Effective with tickets purchased on/after September 24, 2007, American Airlines will no longer accept firearms in checked baggage to/from any European or Asian destination (except for military/government personnel with proper documentation).” This applies to target rifles and pistols as well as hunting guns. 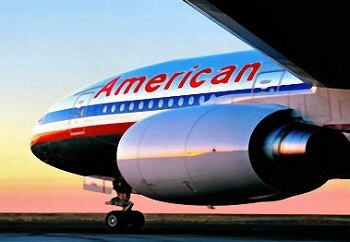 It is unclear whether American Airlines will apply this policy to the Indian subcontinent, Australia, and New Zealand. Those of you planning to travel to Europe or Asia for competitive or hunting purposes should take note of this new rule. Thankfully, there are other carriers, both domestic and foreign, which still allow rifles to be shipped in locked hard cases as checked baggage. Check with each carrier to determine their particular policies, and you should, of course, also check to ensure you comply with all laws of both your home country and the nation to which you are traveling. Share the post "American Airlines Bans Gun Transport on Asian and European Flights"
By uniforming meplats, shooters can reduce variances in the Ballistic Coefficients of a set of bullets. 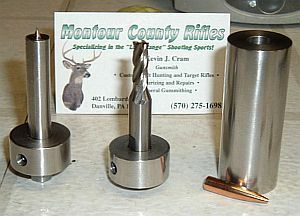 Many top shooters, such as David Tubb, feel that meplat trimming can also reduce group size. Danny Reever has tested and reviewed the Meplat Trimmer from Montour County Rifles. Danny reports this $75.00 tool is well-crafted, easy to use, and it offers some advantages over other meplat trimmers on the market. 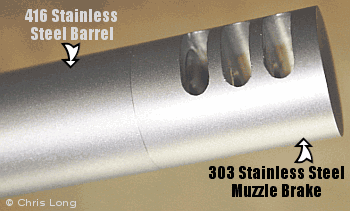 Starting with a lot of bullets that varied in length up to .008″, Danny was able to bring them all within .003″ using the Montour Trimmer. CLICK HERE for Danny’s full report. Share the post "Meplat Trimmer Reviewed"
A quality borescope is a pricey tool, but once you have the opportunity to use one, it is hard to imagine how you ever did without it. 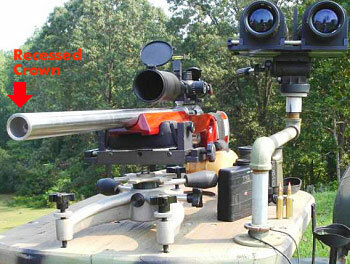 Rifle Shooter magazine has an excellent article about using a Gradient Lens Corp. HawkEye BoreScope. In this feature, What the Eye Can See, writer Terry Wieland explains how to inspect for defects in new barrels, how to recognize different kinds of fouling (in both barrels and brass), and how to spot throat erosion in its early stages. 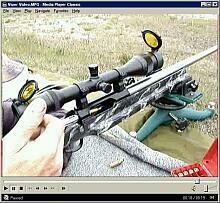 The current generation of HawkEyes can be attached to a still or video camera to record digital images of your bore. The most interesting part of the article is on the second page. There, author Wieland provides photos of various types of internal flaws that can appear in barrels. This will help you spot pitting, excessive land wear, rust damage, and damage from corrosive primers. Share the post "Good Article on BoreScopes Reveals Fouling Characteristics"
The 300m Lapua European Cup Final 2007 is now underway at the Orbühl range in Winterthur, Switzerland. Shooters from throughout Europe will be competing. 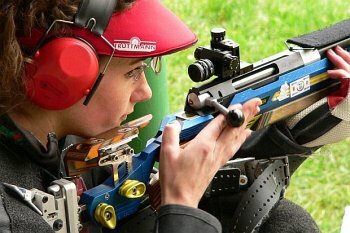 Men will shoot both the target (free) rifle and standard rifle in 3-position and prone events, while women will compete with target rifles only in both prone and 3-position events. There will also be a “SuperFINAL” event with money prizes. There will be a total of 12,000 Euros up for grabs at the event. CLICK HERE to download event brochure and map. Most shooters will be using 6mmBR factory ammo, but many of the Scandinavians will shoot Norma 6XC factory loads, and some of the Swiss shooters will use RUAG 6×47. As with most high-level 300m events in Europe, electronic scoring will be used. 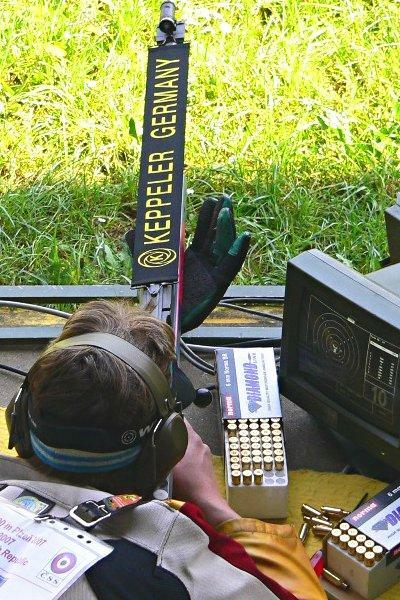 The scoring system employs acoustic targets from the Swiss Sius-Ascor firm that output shot placement (and score) directly to target monitors at each shooting position. Photos used here are from the 300m Europa Cup Championships held earlier this year in Plzen, Czech Republic. Share the post "300m European Cup Final This Weekend"
This weekend, it officially becomes fall. With the changing of the seasons, now, more than ever, it’s important to protect your firearms from rust and corrosion. For guns stored in a safe or enclosed locker, a GoldenRod unit is a must-have accessory. The GoldenRod, marketed as a dehumidifier, is a small, low-wattage electric heating element you place in the safe. Running 24/7 at 140° F, the GoldenRod warms the air in your safe. This changes relative humidity and raises the dew point in the safe so water vapor does not condense on your arms and valuable accessories. When combined with Desiccant packs that absorb moisture, the GoldenRod is extremely effective at keeping your guns rust-free during long-term storage. We do recommend wiping down your guns with Boeshield, Eezox, or Corrosion-X before putting them in storage. These are three of the best corrosion-inhibiting metal coatings you can buy. Now through September 30, 2007, MidwayUSA offers the 18″ GoldenRod heating unit (item 614184) for just $16.99, marked down from $19.99. This is rated for up to 200 cubic feet safe. All GoldenRods come with a detachable plugs for easy installation. Share the post "GoldenRod Safe Heaters on Sale"
They don’t call Jerry Miculek a “living legend” for nothing. Competing at the United States Practical Shooting Assn. (USPSA) Nationals held in Tulsa, Oklahoma, earlier this month, Miculek captured his Fifth National Revolver Championship. Jerry also holds numerous wheelgun speed-shooting records. This year’s USPSA match featured 18 stages of fire, with a variety of steel and paper targets. Miculek, competing with a Smith & Wesson Performance Center Model 627 8-shot revolver, faced tough competition throughout the 3-day match. CLICK HERE for a Video (hosted on YouTube), showing Jerry’s blazing speed. In the video, filmed a couple years ago, Jerry puts 8 rounds on 4 targets in 1.06 seconds. Then he does 6 shots, a reload and 6 more shots in 2.99 seconds. If you haven’t seen Miculek on camera before, we guarantee you’ll be amazed. 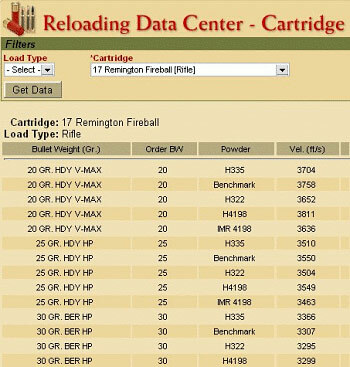 Share the post "Jerry Miculek Wins Fifth National Title"
Hodgdon powder has recently updated its interactive Reloading Data Center to include load information for the new 17 Remington Fireball. Introduced earlier this year, the 17 Fireball is based on a .221 Fireball necked down to 17 caliber. It is similar to the 17 Mach IV wildcat, but case dimensions aren’t identical. Kurt Nelson of Redding Reloading explains: “Headspace and the shoulder/neck geometry are different–plus there are variations of the 17 Mach 4 out there.” Hodgdon’s Data Center provides loads for 20-35 grain varmint bullets, with velocities up to 3758 fps. Powders include Benchmark, H332, H335, H4198, and IMR 4198. Share the post "17 Rem Fireball Load Data Now Available"